As Steve is taking part in the Masters of the Web panel this year at Comic-Con which is being hosted by Dredd star Karl Urban, we’ve been provided with an exclusive red-band clip to share with our readers. I saw the film last night and let me first warn you: this film is absolutely brutal. 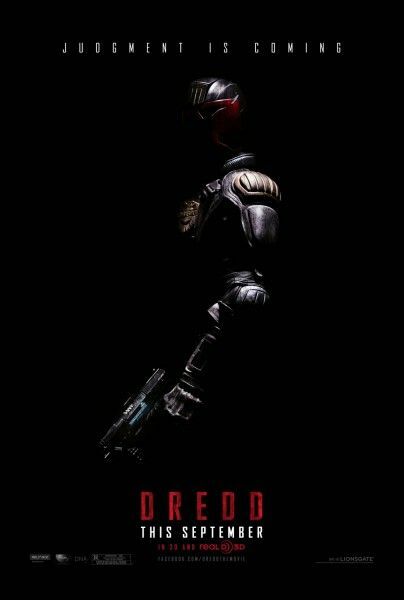 Director Pete Travis‘ Dredd is 100% a hard R with incredibly graphic violence throughout the film’s entire runtime (as taste of what’s to come is on display in this clip). This movie couldn’t possibly be more different from Sylvester Stallone’s iteration of the character, and I think fans of the comics and/or Judge Dredd character will really be happy with this pic. That said, be prepared for a lot of violence. You can read Matt’s review here. Though most of you wren’t lucky enough to catch the film at Comic-Con, fans have the chance to win a trip to London to screen the film there. More details can be found at JudgementIsComing.com. Hit the jump to check out the clip. The film also stars Olivia Thirlby and Lena Headey. Dredd opens in 3D on September 21st.